Did you know that as a teacher, you can expect to stand for at least 2,400 hours during the school year? That’s the same thing as standing for 100 days non-stop! This will surely take some toll on your energy level and body, especially your feet. In this article, we look at the best shoes for teachers; see why teachers’ shoes are not the same as normal shoes and highlight the unique properties you should look for when getting these shoes. Of course, we will also review 5 best comfortable teacher shoes each for female and male teachers chosen from a variety of styles and taste to suit most people. The immediate effect of standing for so many hours is pain in the heel of your feet. Apart from doctors, nurses and some other professionals, teachers have the highest occurrence of heel pain. This pain if not managed will lead to heel inflammation (Plantar Fasciitis) and even Heel Spurs. However, the teaching job will not allow for long periods of sitting especially when teaching younger children. This is why we need to discuss the most comfortable shoes for teachers as the only solution is to choose the right shoe. Normal shoes will not solve the problem and could aggravate the situation causing serious health issue at an elderly age. The best shoes for teachers must have 3 qualities: comfort, style and durability. Some of the shoes recommended below are so good that you will begin to feel relieved within days of wearing them. Orthaheel is known for shoes specially designed to handle feet and heel problems. 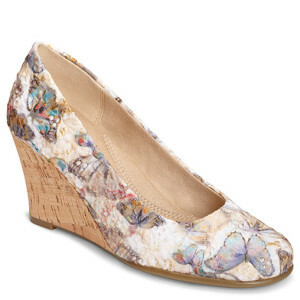 This particular shoe comes in a Mary Jane design and is praised for its sweet style and feet relief properties. It has a leather upper part with adjustable easy to remove hook and loop closure. Pros: Features Orthaheel deep heel cup to support and stabilize feet and keep them close to their natural position. Rubber sole for increased traction. Cons: Complaints about sizing especially the toe area being too short. 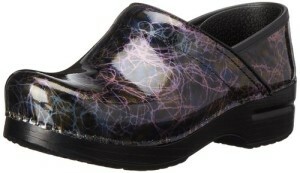 These supportive shoes come in fabric/synthetic and are so comfortable many women compare them to “walking on pillows”. This shoe is indeed one of the best shoes for teachers. Easy to pull on or off and comes with flexible outsole with GOimpulse sensors for enhanced sensory feedback. Pros: Midsole comfort foam, available in many styles and colors. Cons: Some users experience heat on their feet when worn without socks and it tends to run small in size so double check it fits before buying. On days when you can’t escape wearing heels, opt for wedges. Aerosoles is a trusted name in comfortable shoe wear at an affordable price. The wedge heel is just 3 inches and well balanced. The colors are many and run from black to flower print. Pros: Great for many occasions, can be worn from work straight to a night out with pantsuits, skirts or dresses. Super-padded foot bed. Cons: Inner fabric tends to rub against the toes especially in humid weather. Sizing can be awkward so double check before buying. 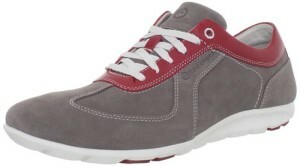 These shoes are sporty and sleek offering comfort and durability. It has a full grain upper and slip-on closure for easy wearing. Inner lining is of fabric and PU leather. It also comes in a variety of colors and has a detachable OrthoLite® molded insole for cushioning support and moisture control. Pros: Very comfortable and great for warmer weather. Amazing traction on wet or dry surfaces. Cons: May be too casual for some people’s taste. Upper elastic strap tends to feel too tight for the first few days of wearing. Dansko has remained a time-tested favorite for teachers. Their shoes are particularly recommended for people that have had feet and leg problems in the past or even surgery. The clogs have a 1.75 inch heel and are roomy with reinforced toe area. The wide heel also allows for greater stability. It has polyurethane outsole shock absorbent rocker bottom. Available in many colors. Pros: Particularly good for extended periods of standing. Easy to clean and value for money. Cons: Each one is individually done so sizing can be tricky. These shoes combine the comfort of walking shoes with a casual look. These office-appropriate shoes grip well on various surfaces and are made of leather with synthetic rubber soles. It has a lace-up vamp and nicely padded tongue and collar with inner mesh moisture control. Pros: Comfortable and stylish choice for all ages. Cons: In the recent productions, the leather upper is stiffer and the entire shoe narrower than older models. Unisex plain toe boot features smooth full-grain leather upper and slip resistant synthetic sole. Construction is durable and the traditional lacing allows for a perfect fit. Available in various colors. Pros: Generally good fit, stylish design. Cons: Sloppy yellow stitches around the sole. 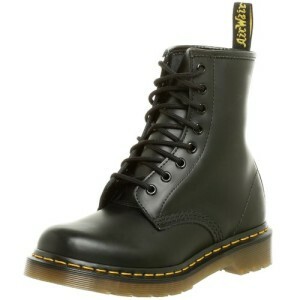 Take care to buy directly from the Dr. Martens store due to many complaints of poor finishing when bought elsewhere. 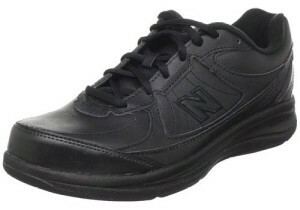 This shoe has earned many positive reviews from men who have to stand for long hours. It’s available in black and brown and is made of full-grain breathable leather. It comes with flexible sole and non-marking outsole. Pros: Easy to slip on/off and very comfortable heel. Cons: Sizing may vary so test and confirm before purchase. 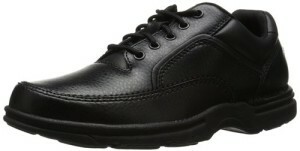 Rockport maintains its standards with this athletic-inspired Oxford leather shoe. It comes with rubber sole, contrast stitching and two-tone body. It’s designed to copy the natural walking motion of your feet. Easy to clean and durable. Pros: Very lightweight. Highly recommended for comfort, style and standard. 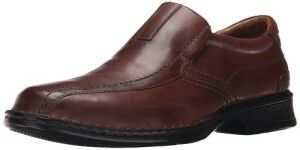 Leather shoe with ABZORB midfoot cushioning. Stabilized with Rollbar technology to cushion sudden movements. Features odor-resistance seamless phantom inner liner. Rubber sole with cushioned lace-up vamp and collar. Available in 4 colors: black, brown, white and gray. Pros: Recommended by podiatrists, particularly good for people with knee problems. Cons: Metal grommets for shoe lace is not included in the recent models so lace holes may fray after some time. Considering the stress teachers’ legs and feet will go through, selecting shoes to wear should be given serious consideration. Rather than aches and pains, wearing comfortable shoes will allow you concentrate on the job at hand instead.